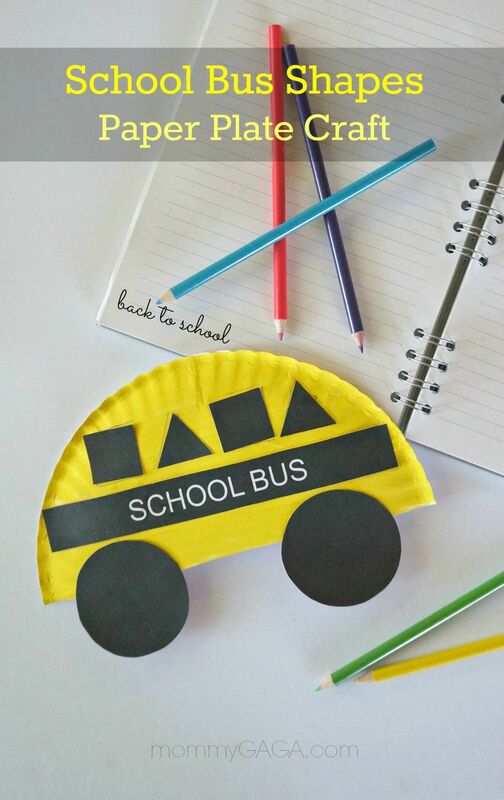 Our paper plate school bus craft is such a fun idea for the back to school season! 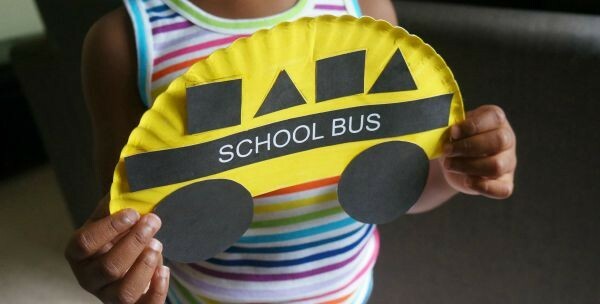 Make this school bus art project with your kids, love this fun transportation crafts. 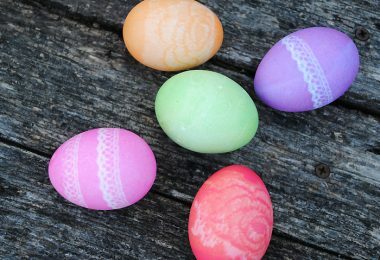 Looking for fun and easy back to school crafts for kids? As they get ready to go back to school, we’ve been running around all over the place trying to get all of our shopping done, and enjoy our last summer days. I thought it would be fun to do a school bus art project, it gets our creative juices flowing and helps to mentally prepare kids for the change in routine when school starts! 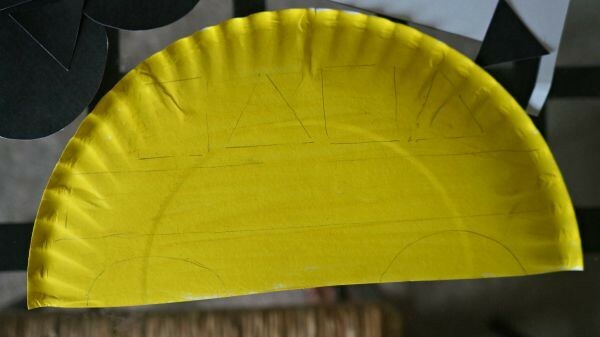 To get started with your paper plate school bus craft, cut your paper plate in half evenly, directly down the middle. Paint the plate on one side until the white is completely covered. Set aside and allow to dry. Have your child pick up each shape and match it to the appropriate area on the plate, say each shape along with them as they go. 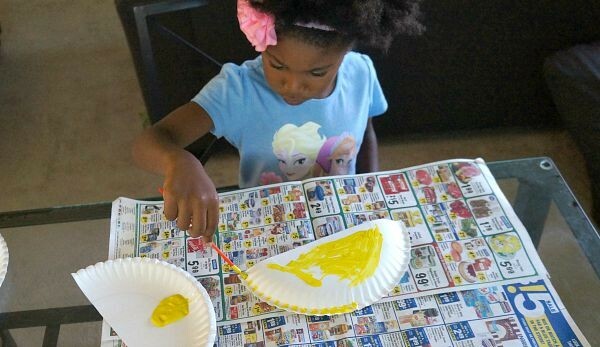 Glue each shape onto their respective areas, you’ve got yourself a paper plate school bus! This is one of the most fun school bus activities for preschoolers. My daughter loved making this, and if your kids are thrilled about back to school crafts, I am sure your little ones would, too! Be sure you’re supervising the whole activity, and make sure that you’re the one handling the scissors. 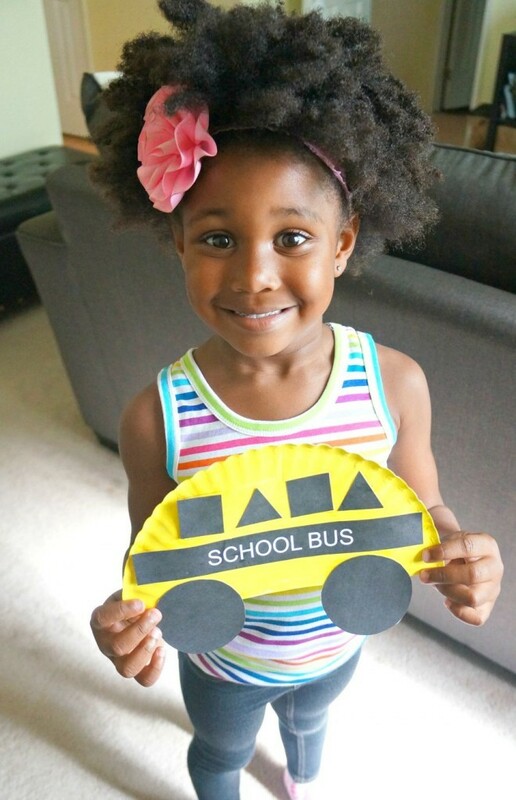 Hope you love this school bus art project and have a smooth transition going back to school! 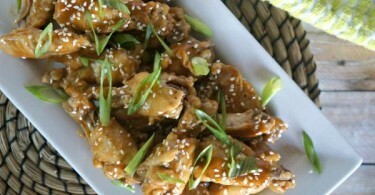 Thai Peanut Chicken Wings Appetizer – A Delicious and Easy Slow Cooker Recipe! 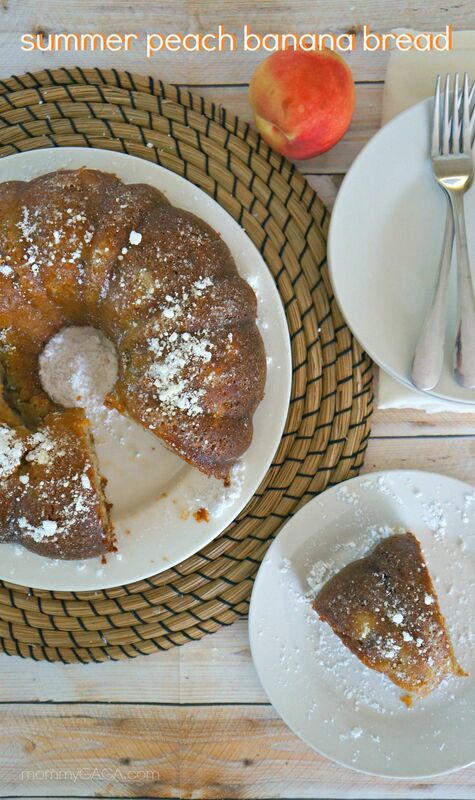 Hi Deanna, I love this idea! 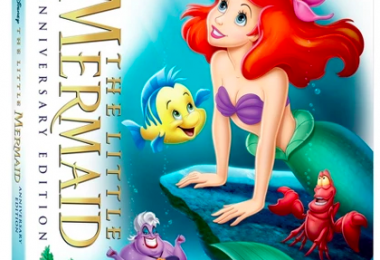 Would you mind if I use this post in a “back to school” round up post I’m working on?